were in for a treat. 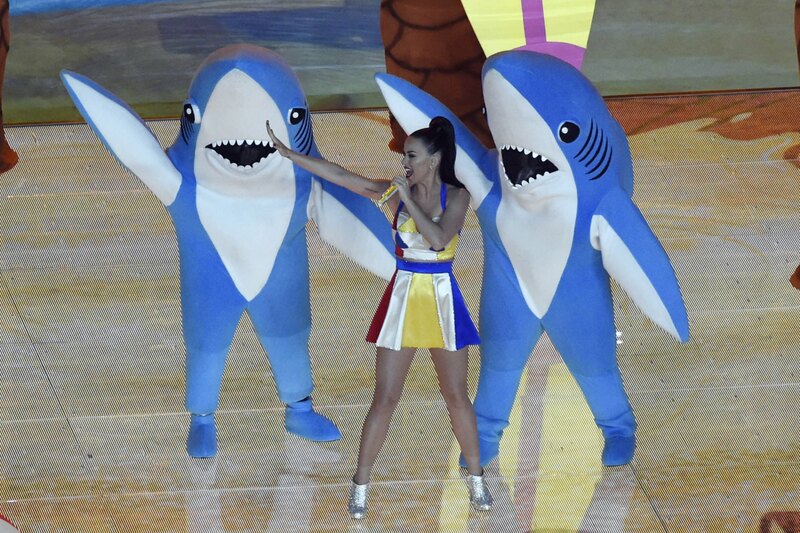 She certainly didn’t disappoint, with her smiling sharks, dancing beachballs, and that robot lion. Special guests Lenny Kravitz and Missy Elliot made the show even better. It was definitely one of my favorite halftime performances. Nationwide’s total buzzkill: While they won big time with their adorable spot featuring my beloved Mindy Kaling, Nationwide quickly delivered a huge buzzkill with this spot about dead children. Nothing causes a hush to fall over a Super Bowl party quite like a commercial about kids dying in accidents….thanks, guys. Let’s keep our day happy by rewatching Mindy in her charming, cheerful ad. T-Mobile’s funny ads: From Kim Kardashian poking fun at herself to Chelsea Handler and Sarah Silverman playing “frenemies” trying to one-up each other, these commercials were some of my favorites. The shoving match that occurred at the end: There were mere seconds left in the game. And a fight broke out. Childish? Definitely. Amusing? Also, yes. What were some of your most memorable moments from this year’s Super Bowl? Share them with me! I can’t get enough of Bruno Mars, and I especially love his song “Uptown Funk.” It doesn’t matter how many times I’ve heard it, when it comes on, I’m dancing. Turns out I’m not the only one. In this video, Scot Pankey, a teacher at A. Maceo Smith New Tech High School in Texas, and his students put together a highly choreographed video to the song. I love pizza and people helping other people, so my new favorite person is 27-year-old Mason Wartman. Wartman owns Rosa’s Fresh Pizza in Philly. Though it may appear to be just like any other pizza joint, Rosa’s is far from ordinary. The spot attracts a lot of homeless people due to its inexpensive prices (pizza is just $1 per slice), and to help serve this population in need better, Rosa’s has a wall of brightly-colored Post-It notes. Each note represents a slice of pizza that a customer has paid for in advance for any person who comes into the restaurant that day who’s short on cash. When someone’s hungry but can’t afford to buy a slice, they simply grab a Post-It off the wall and bring it to the register. As an added bonus, these Post-Its often have inspiring messages written on them from the customer who has made the purchase. So far, Rosa’s has served up 8,400 slices of pizza over the last nine months to people in need in the Philly area. Want to help out? Visit this link and you can buy a “Little Rosa” (a Post-It note that someone can redeem for a free slice) from anywhere in the country! Mason Wartman made an appearance on Ellen recently, where she presented him with a check for $10,000 to help keep his business growing. Check it out below! 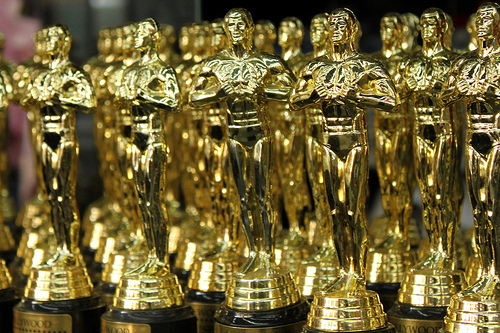 The List of Oscar Nominations is In! So, let’s hear YOUR opinion. Who do you think deserves a little gold statue at this year’s ceremony? Which movies did you see this year? Are there any that you missed and will be checking out on Netflix? 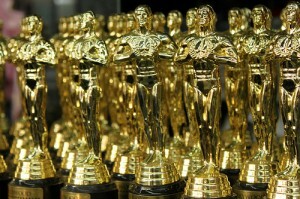 For a complete list of this year’s Oscar nominations, click here. I’m a sucker for awards shows, particularly acceptance speeches at awards shows. There’s something magical about watching people get tearful as their childhood dreams come to life, you know? If you’re also an acceptance speech enthusiast, you can check out five of the best from last night here. Perhaps you tuned into the Golden Globes strictly for Amy Poehler and Tina Fey, which I also totally understand. If you’re like me and believe that this dynamic duo should host every event ever until the end of time, you can rewatch their hilarious opening monologue here. Who do you think looked amazing at last night’s awards? Personally, I thought Jennifer Lopez looked stunning. Does she age? No. She doesn’t. Naomi Watts looked beautiful too. Click here to see what other stars wore. Looking for a full list of all of last night’s winners? You can find that here.